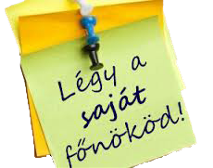 Register - Join - Regisztráció for better life. Become a Forever Business Owner / Válj Te is Forever Üzleti Partnerré! - Purchase your favorite products at discount! Előbb diszkont, majd nagyker áron juthatsz a termékekhez! - Be your own boss. Be in business for yourself, but not by yourself. Legyél a saját magad főnöke! Építsd üzletet saját magadnak, de ne egyedül! Ha te Magyarországról szeretnél vásárlóként vagy üzleti partnerként, vagy mindkettőként cégünkön belül hozzám csatlakozni, akkor kérlek, kattints ide! If you live in Hungary, than Click here to start your Forever Business today with me! If you would to connect (register) to me in FLP network from everywhere in the world (from another country), than forward step by step the next rules! First step: Open with a click this link, please: Register to Tibor Somogyi Forever business partner. (This is the central website of Forever Living Products Company). Second step: On the left over corner choose your continent, your country and your language, please! Third step: In the main menu's right side from back the third button - Join - click, please! Fourth step: Fill in the form suiting your country. Sponsor register my name: Somogyi Tibor and my business number - ID - to data: 360 000 695 731 Country the form may be changing, the registration, other one is bound to shopping in one of the countries in a country furthermore not, check this out on the web page answering to your country, please! The system does not want to accept it possibly if anything would be your problem with the yielding of the sponsor data, indicate it to me now! Grant your country, your name one to me through and will help us our international class of Forever Living Products, I help you! With products, establish the contact with me in connection with business building, a marketing plan and the additional ones in private one, please! Én ezt minden nap meghallgatom, erőt, kitartást és motivációt ad minden téren. website byLucifer | Copyright © 2017. All Rights Reserved. Web Template created with Artisteer by somogyi tibor.